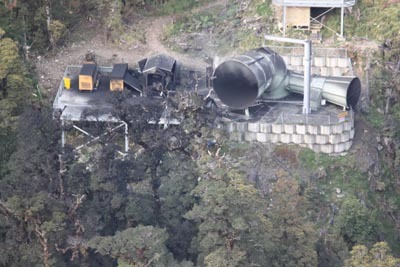 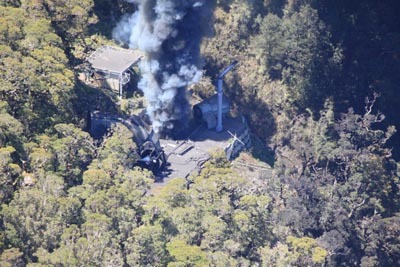 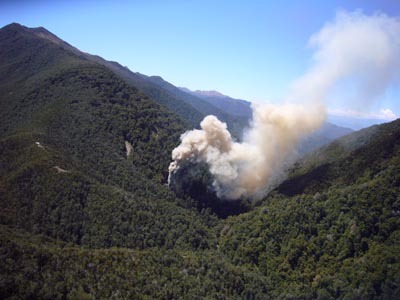 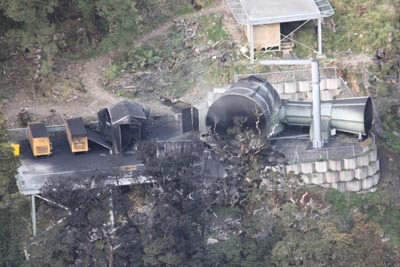 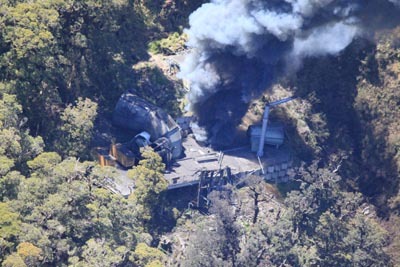 These images and videos were taken on Friday 26 and Sunday 28 November 2010 above Pike River mine. 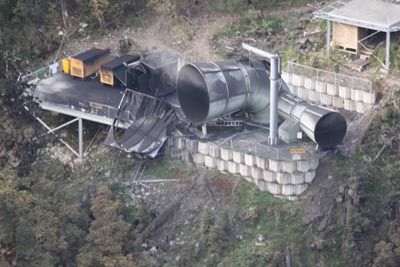 They show the damage caused at the mine after the third and fourth explosions. 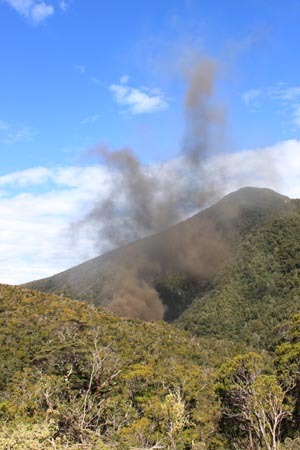 These four images show the vent area after the explosion on Friday 26 November, and show the vent intact. 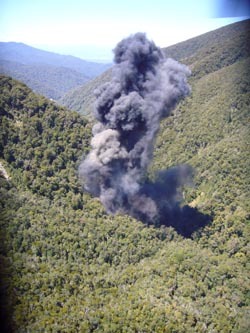 These four images show smoke billowing from the vent shaft vertical column after the fourth explosion on Sunday 28 November.